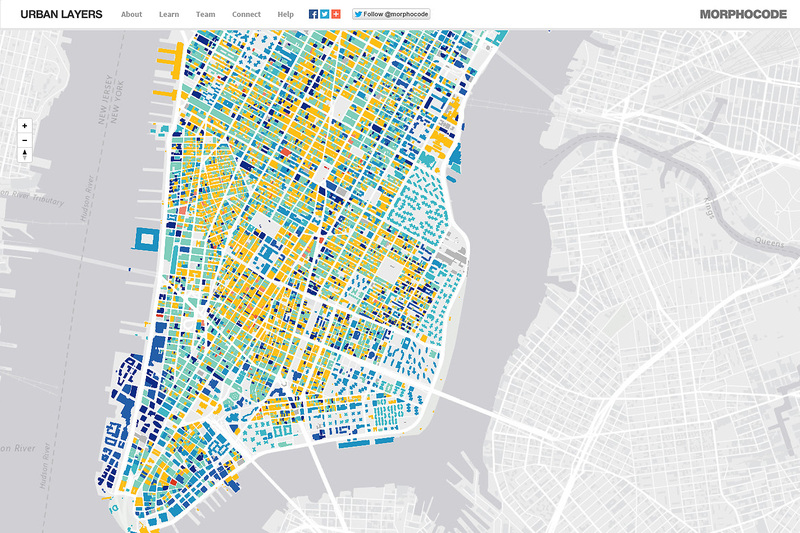 Urban Layers is an interactive map created by Morphocode that explores the structure of Manhattan’s urban fabric. All over Manhattan, each building is coloured depending on its construction date. You can play with the date cursor to instantly visualize a neighborhood historical pattern or even identify your building age. On top of its data value, the interface is nice and clear. A discovery I could not keep to myself! Please visit Urban Layers website, you won’t be disappointed.